You can both be happy and lead a meaningful life, of course. But most of us, consciously or not, choose the pursuit of happiness over the pursuit of meaning. “Happy holidays,” we wish each other; “Happy New Year,” we say. If you’re like 45 percent of Americans, you are setting New Year’s resolutions with the aim of leading a happier life: One of the most popular, according to Nielsen, is to “enjoy life to the fullest.” In surveys, most people list happiness as their top value, and self-help books and life coaches make up part of a multibillion-dollar industry. Research by the two of us shows that the happy life and the meaningful life differ — and that the surest path to true happiness lies in chasing not just happiness but also a meaningful life. Psychologists have started to look more closely at how seeking happiness affects people, and unearthed some unsettling trends. The pursuit of happiness, it turns out, negatively affects our well-being. The distinction between happiness and meaningfulness has a long history in philosophy, which for thousands of years has recognized two forms of well-being — hedonia, or the ancient Greek word for what behavioral scientists often call happiness, and eudaimonia, or what they call meaningfulness. The happy life is defined by seeking pleasure and enjoyment, whereas the meaningful life is bigger. 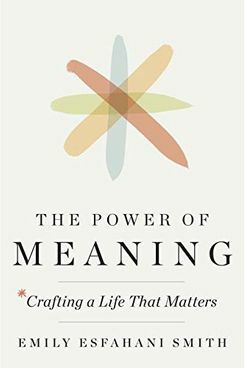 In a new book that will be published next month, one of us (Emily) reviewed hundreds of empirical papers from the growing body of research on meaningfulness — as well as the writings of great thinkers from Aristotle to Tolstoy to Camus — and found that the defining features of a meaningful life are connecting and contributing to something beyond the self, which could be your family, your work, nature, or God. But because meaning involves investing in something bigger, the meaningful life is often characterized by stress, effort, and struggle. In a survey of over 2 million people in more than 500 jobs by the organization PayScale, those who reported finding the most meaning in their careers were clergy, teachers, and surgeons — difficult jobs that don’t always cultivate happiness in the moment, but that contribute to society and bring those doing them satisfaction. When people say their lives are meaningful, it’s because they feel their lives have purpose, coherence, and worth. Of course, you can have both happiness and meaningfulness. 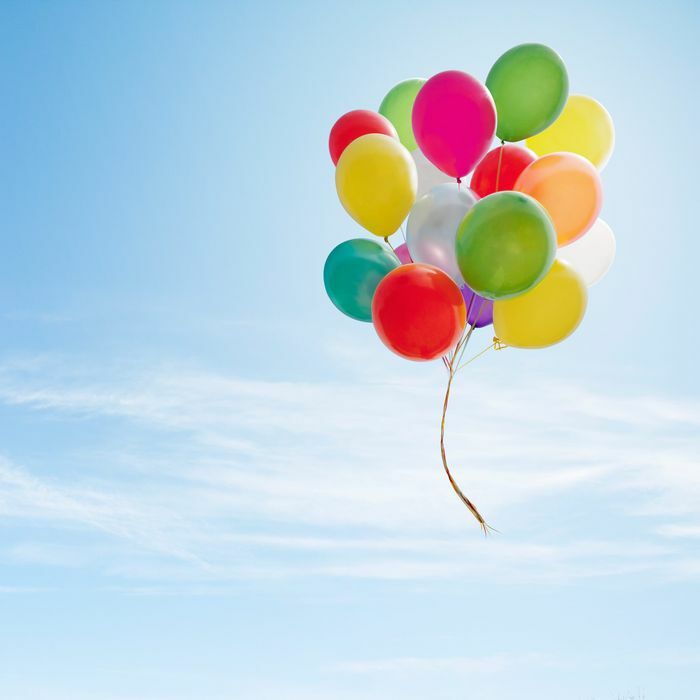 In one analysis of five data sets comprising nearly 3,000 people, Veronika Huta of the University of Ottawa found that 20 percent of respondents reported being happy and leading meaningful lives — while another 20 percent were low on both. Among those remaining, 33 percent were high on happiness and low on meaning and 26 percent were high on meaning and low on happiness. In two studies tracking over 400 Americans and published in the Journal of Positive Psychology, one of us (Jennifer) and her colleagues studied the type of people who fell into the last two groups — high on happiness but low on meaningfulness, and high on meaning but low on happiness —and found important differences in how they led their lives. Those in the happy group tended to avoid difficult or taxing entanglements, described themselves as relatively self-oriented, and spent more time thinking about how they felt in the moment. In contrast, those high in meaning spent more time helping others, being with friends or taking care of children, and thinking about the past, present and future. Though different people have different wellsprings of meaning, meaningful lives share three features, according to a paper published this year in the Review of General Psychology. After conducting an extensive review of the literature, the psychologists Login George and Crystal Park of the University of Connecticut identified the three features as purpose — the degree to which you feel directed and motivated by valued life goals; comprehension — the ability to understand and make sense of your life experiences and weave them into a coherent whole; and mattering — the belief that your existence is significant and valued. When people say their lives are meaningful, in other words, it’s because they feel their lives have purpose, coherence, and worth. But meaning isn’t something you either have or don’t have. It’s an approach to life — a mind-set. People can choose to pursue meaning as well as happiness. In a recent paper, Veronika Huta and Richard Ryan discovered that people behave very differently depending on which they emphasize, and that in turn affects their well-being. In one study, college students were asked to pursue either meaning or happiness over ten days by doing at least one thing each day to increase meaning or happiness, respectively. Some of the most popular activities reported by people in the meaning group included forgiving a friend, studying, and helping or cheering up another person. Those in the happiness group listed activities like sleeping in, playing games, and eating candy. Although the students in the happiness group experienced more positive feelings and fewer negative ones immediately after the study, three months later their mood boost had faded. The students focused on meaning, meanwhile, did not feel as happy right after the experiment, which makes sense: meaningful pursuits, like helping a friend, require sacrifice and effort, and can even be painful in the moment. Yet three months later, the picture was different. The students who had pursued meaning said they felt more “enriched,” “inspired,” and “part of something greater than myself.” They also reported fewer negative moods. Over the long term, it seemed, pursuing meaning was more deeply satisfying than chasing happiness. Our goal this coming year shouldn’t just be happiness. Our goal should be meaningfulness. Instead of picking projects, hobbies, and relationships based on how happy they will make us, let’s focus on those things that make our lives more significant and worthwhile. If happiness ensues, great. But if it doesn’t, we can still take comfort in knowing that our lives matter and are contributing to the world in some way. Emily Esfahani Smith is the author of The Power of Meaning: Crafting a Life That Matters, to be published in January by Crown. Jennifer Aaker is the General Atlantic Professor at the Stanford Graduate School of Business.